Home	/ Innovation	/ Securities Services and FinTech… where are we really at? Securities Services and FinTech… where are we really at? We have researched high and low on this subject and have settled on the Australian initiative in the post-trade space as being the most feasible FinTech development that is occurring. in other jurisdictions and it may also help create momentum and accelerate the take-up of DLT solutions in other services in the post-trade sphere such as custody. At the time of its introduction in 1994, CHESS was the world’s first dematerialised share settlement system. Its creation led to the development of a proprietary electronic messaging standard (as existing standards lacked the message sophistication to accommodate CHESS’s functionality), enabled trades to be settled in five business days (which has since been lowered to T+2 as of March 2016), and improved the general efficiency and effectiveness of post-trade processing in Australia. on the cash equities market. Currently, ASX’s licensed clearing and settlement facilities, ASX Clear and ASX Settlement use CHESS to carry out three key post-trade functions: central clearing, Delivery vs. Payment settlement on a T+2 basis, and asset registration. In relation to the latter, ASX Settlement maintains a sub-register of owners of financial products that are listed or admitted to trading on an approved listing market, and updates the sub-register to reflect transfers between buyers and sellers and entitlements resulting from corporate actions. will have to adapt systems and processes to align with the replacement technology as well as for custody and securities lending for Australian cash equities and possibly other cash products in the future. In addition, there will be impact for corporate actions processing, account transfers and securities conversions. The potential range of use cases for DLT in the context of settlement enhancement is extensive. Not all will be pursued by the ASX or be available on Day 1, but the possibilities include multi-currency and multi-asset class capabilities (beyond cash products to funds processing and settlement, and derivatives), the provision of a centralised and definitive database of information sufficient for regulatory transparency and reporting purposes, and optionality for a range of reduced settlement times (which may lead to added capital and margin benefits) among various other features. Bit Trade Labs to develop a blockchain based equities settlement and registration system, initially intended for SSX’s equities and private markets platform but which could later be available for other markets. One of the aims is to achieve real time settlement and registration (T+0) which could herald the disappearance of traditional clearing houses and settlement systems, at least for cash markets. A further notable joint initiative between Computershare and SETL aims to establish securities ownership registers using blockchain technology. The focus is initially on the Australian market and will pursue establishing an immutable register of securities ownership using blockchain technology. The idea is to bring together issuers, asset owners, brokers, regulators and market infrastructure providers to propose an open platform based on SETL’s blockchain technology. "Standard Chartered thrives on taking opportunities where others may hesitate. This is demonstrated by our commitment to expand our footprint, by our unrelenting focus and enhancement of our infrastructure and by our strategy on innovation, now further strengthened by our SC Ventures unit headed by Alex Manson." The European Union (“EU”) has an opportunity to establish the framework for the development of a successful FinTech industry, but such development would be hampered without substantial involvement from the industry. The question arises as to whether the EU is embracing the opportunity and we mentioned the ESMA focus earlier on consultation and post-trade. There is recognition that DLT can be used to develop applications that seek to replace parts of the transaction value chain and traditional elements of trading and post-trade services extending to the custody and related processes4. Whether any DLT-based solution could gain traction across the EU remains to be seen, although there is some promise that EU-wide solutions in the post-trade arena could be successful as judged by the TARGET2-Securities (“T2S”) initiative. The 14 February 2018 announcement by the FCA seeking merits of creating a global sandbox is possibly the most recent example of a pragmatic and tangible way forward for the implementation of a robust regulatory environment post-trade. in APAC in the post-trade space market and is currently dominated by payments and crowdfunding activity. However, given the opportunities in the market and the support from local governments, it is expected that other areas of FinTech will catch up relatively quickly. The development of Middle East start-ups is being accelerated particularly through the regulatory sandboxes in the UAE (the DIFC and the ADGM) and Bahrain. In September 2016, the Chinese government announced that it had been working on developing and eventually using DLT for social security payments. But can we bank on China? China’s FinTech industry has grown exponentially in recent years, with more than 500 million internet finance users, China is home to the largest FinTech market in the world. Its regulatory approach differs considerably in comparison to the Asia Pacific countries discussed above. Whilst China’s traditional financial system operates under a sophisticated regulatory regime, the Chinese government initially adopted a relatively lenient approach to the FinTech industry in order to encourage innovation and development. However, the industry’s rapid but unsupervised growth led to several fraud scandals, including one of the biggest Ponzi schemes in modern Chinese history where a P2P lender Ezubao fraudulently took USD7.6 billion from over 900,000 lenders5. As a result, the Chinese government’s focus has shifted from encouraging innovation and development in FinTech to enhancing supervision and risk control. What about Artificial Intelligence and robo-services? to transform processes that typically rely on humans carrying out repetitive tasks. Combing the often non-aligned technologies that have been developed on latent systems with numerous interfaces would be a valuable advance. Removal of manual processes: AI can be implemented in clearing, settlement, payments, static data maintenance, custody, treasury, trade reporting, compliance, risk and regulation functions. is some years away, in the interim, addressing cost and accuracy with new machine-based tools is given greater priority by many institutions. on operational efficiencies such as process automation that includes OCR, automated billing, auto funds/stock check, eFX automation among other tools. AI enables the Bank to predict and prevent potential problems before they happen. Data and the utilisation of data is the new vogue in the post-trade arena. How data can be used, how it can be leveraged and how it can be cleansed are the current challenges and opportunities. Combining data technology with AI can result in a dynamic means of using sophisticated algorithms to transform data. 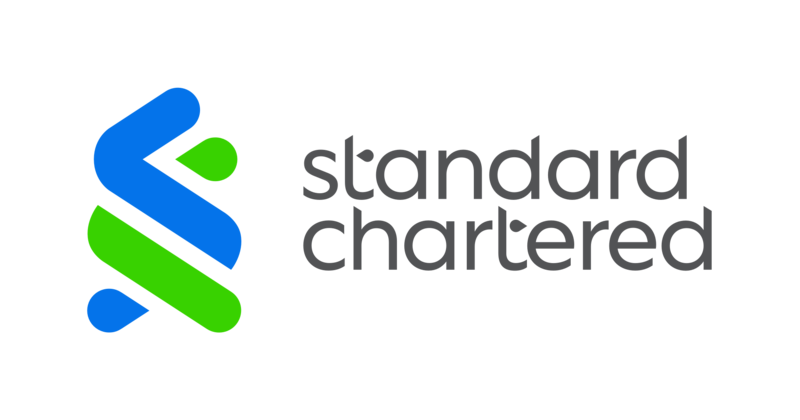 Standard Chartered is implementing a Hadoop Data Fabric where raw data is stitched from multiple data sources across different systems and countries to create a standardised and modelled data access layer. At the same time, the Bank is utilising multiple tools for data search and visualisation including some tools which make use of ELK stack, creating a unique and personalised client experience through a single touch client view on the entire relationship. not so sure. Admittedly, significant technology transformation will continue to thrive easily in a domestic setting, but developments are on the horizon for global cooperation that will enable structural changes and legal harmonisation. How much time that will take? It will happen in my time. Standard Chartered is deeply involved in developing AI in the post-trade space. AI for Securities Services involves a few areas including robotics process automation, cognitive automation and predictive analysis based on data collected.